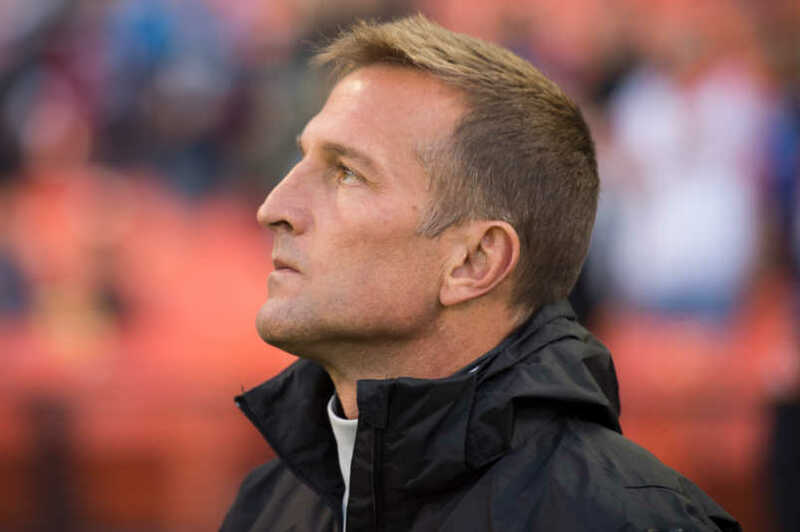 The soccer news starts with US Soccer announcing that Jason Kreis will coach the USMNT U-23s. Kreis takes over the program immediately, with the team currently in camp in Spain. The U-23s are the team that attempts to qualify for the Olympics, something that has turned into a challenge in recent cycles. Kreis takes the job while remaining part of Inter Miami. "It's a tremendous opportunity," Kreis said in a press statement. "It's an opportunity to be a part of a new system under the leadership of Gregg Berhalter and Earnie Stewart leading the National Team the way that they are. It's an opportunity to work with the country's brightest young stars, and it's an opportunity to represent your country. In my opinion, that's the highest honor of all." The Olympics has turned into an obstacle for the USMNT program, compounded by Mexico's recent success. The USMNT last qualified in 2008, finishing in 9th-place. There best finish in the modern era of American soccer was 4th in 2000. Meanwhile, Mexico won gold in 2012, finishing 9th in 2016. Making the Olympics a priority is a statement of intent, trying to reverse that recent history and show that the program can compete at this level. There are issues. There's no obligatory U-23 international release window, with clubs able to withhold players. There's the players already established with the senior squad that may or may not take part in the Olympic qualifying tournament. There's FIFA's deal with the International Olympic Committee that allows for three over-23 players should a team qualify. That doesn't take away from the opportunity. This is a showcase for a younger generation of players and an opportunity for the National Team technical staff. The hiring of Earnie Stewart as general manager and Gregg Berhalter as coach is part of a broader cultural change. That brings with it youth soccer technical director Tab Ramos, already in place and in charge of the U-20s. It's that team taking the next step. Ramos's U-20s are also in Spain, preparing for the World Cup that begins for the USA on May 24 in Poland. How much these tournaments matter is due in large part to the US Soccer technical staff. Going all in on the youth tournaments is a risk, but taking those opportunities may also be a necessity. In the era of Nations Leagues and changes to the global soccer calendar, most fans can still pick out the games that really count. The ones that show where a program is heading. That's the upside for competing in the youth World Cups and the Olympics. Soccer America's Paul Kennedy relays USMNT defender Omar Gonzalez's comments from a media round-table. Pro Soccer USA's Jordan Culver has DeAndre Yedlin talking about the younger USMNT players. The Athletic's Paul Tenorio looks at the return of Jordan Morris to the USMNT. ESPN's Jeff Carlisle has Christian Pulisic talking about the Berhalter era of the USMNT.